MSV: Councilman Bhalla slams Beth Mason on "vicious lies"
Councilman Bhalla slams Beth Mason on "vicious lies"
Wednesday night, Councilman Ravi Bhalla calmly blasted Councilman Beth Mason for the political operation she was pushing in her resolution to the local media. One of her signature hit pieces on the fascist website she sponsors, Hoboken411 appeared in typical fashion with numerous lies. Other than the place bludiamonds notes Mason slings mud on a regular basis, no one else picked up her narrative Councilman Bhalla had done anything wrong accepting employment with a prestigious NJ law firm. "Despite having that memo, you continue on this vendetta of vicious lies about not just me but my employement. At this point, it's not just getting political, this is personal... I'm rooted in the community." The reference to his employment was Bhalla having joined Florio Perrucci back in August. He's refrained from approving their bills from the work they completed last winter at the beginning of the year. The firm is not doing nor seeking any additional work with the City of Hoboken, a direct concession to the value they placed in hiring Councilman Bhalla. 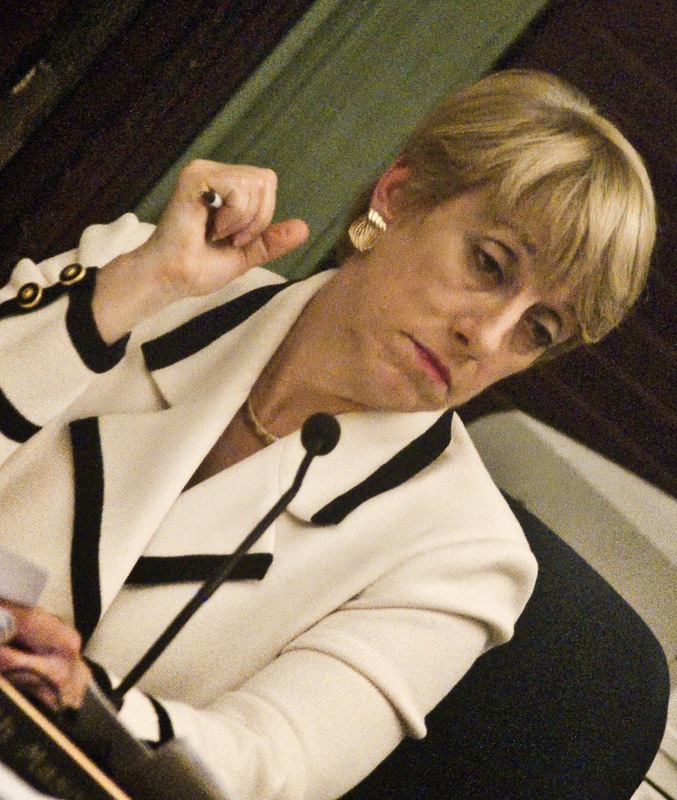 On Hudson County TV, the specious circular argument was captured as Beth Mason attempts in her typical manner to start with a demand for an investigation first and search for guilt later. Asked specifically about when Florio Perruci did business with the City of Hoboken last, Mason claimed she doesn't have an answer. She refers the reporter to OPRA the records. If Mason doesn't know when the law firm last did business with the City (last winter) then why is she claiming Bhalla did anything wrong in accepting a job later in the summer ? "You're trying to destroy my personal reputation. You crossed a line that will not be forgotten." At the last City Council meeting, Beth Mason's resolution was deemed placing the City at risk of being sued. She didn't take it to well and her media strategy backfired except for a screed of lies on Hoboken411. While looking prepared to stab her prey, she talks like she's a victim. As if. Talking Ed Note: Hudson County TV interviewed Beth Mason during the City Council meeting. You can see her and Councilwoman Terry Castellano making disparaging remarks but you'll have to count the fabrications for yourself. You can view and comment on the HCTV video here.